The second week is here and there were many surprises in week one. From the four-touchdown game by Tennessee Titans quarterback Marcus Mariota, to the 27-point fantasy outburst from Patriots Tight End Rob Gronkowski. We look back on those performances, and look ahead to the upcoming week with our weekly prediction column: Take it to the Bank. 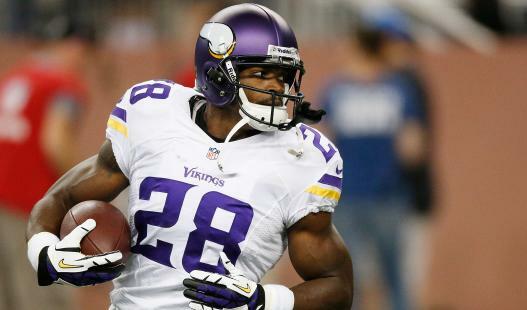 Last week, we watched as Minnesota Vikings running back Adrian Peterson was held to just 31 yards on 10 carries. Not really the numbers that fantasy owners were expecting after almost all took him in the first round. This week, Peterson and the Vikings return home for the first time this season. I’d expect AP to get his regular workload and should make an impact against a Detroit Lions team who lost some big guys off their line this offseason. This past week, Buffalo Bills head coach Rex Ryan said that he may have to opt to put three defenders on New England Patriots tight end Rob Gronkowski. While I found this a bit humorous, I don’t really think that Rex was kidding. There will be times where Gronk has three players covering him. I’d expect Gronkowski to have a below average game, but anything is possible. Pats wide receiver Julian Edelman is expected to have a good fantasy outing, and Danny Amendola is a sneaky play this week. Tennessee Titans quarterback Marcus Mariota was in for a huge week in week one, becoming just the second rookie quarterback ever to throw four touchdowns in his first career game. This week, Mariota turns his attention to the Cleveland Browns, who just allowed a big game to New York Jets quarterback Ryan Fitzpatrick last week. Expect big things for the rookie this week. The search party is out for New Orleans Saints quarterback Drew Brees this week. Listen, I know that he still threw for 355 yards last week against the Arizona Cardinals, but the stat that stood out to me was that Brees had only one touchdown pass on four trips to the red zone. Now while there is concern about Brees, the veteran will get to try in week two against the Tampa Bay Buccaneers, who allowed four touchdown passes in the first half to Marcus Mariota. We’ll see how much easier that makes it for Brees. Start him as normal. In case you haven’t heard, the St. Louis Rams have been practicing with running back Todd Gurley this week. The rookie halfback isn’t supposed to return to the lineup until week four after tearing his ACL last season at the collegiate level with Georgia. This is great news for Gurley owners, as it signals the possibility of a week three return. Currently, Gurley is listed as questionable for this week’s matchup against the Washington Redskins, but I’m not confident that Gurley will play this week. Look for Tre Mason to get the start at running back for the Rams. UPDATE (Sunday 9/20 @ 11:30 AM): Gurley is inactive today. The Rams are targeting a week three return.